A winding road up Dollar Glen leads to the entrance gateway of Castle Campbell, spectacularly sited on a promontory of rock. 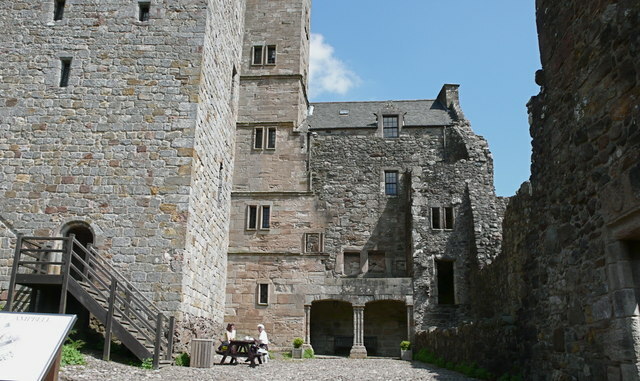 The 15th century tower stands to the left, with a vaulted room on the ground floor, a vaulted great hall over this with a large fireplace and a prison with pit below. 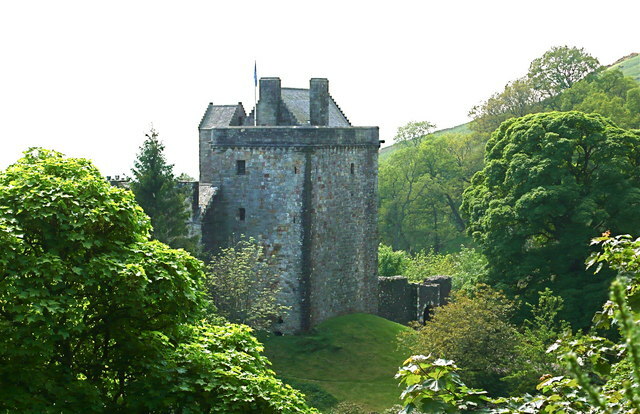 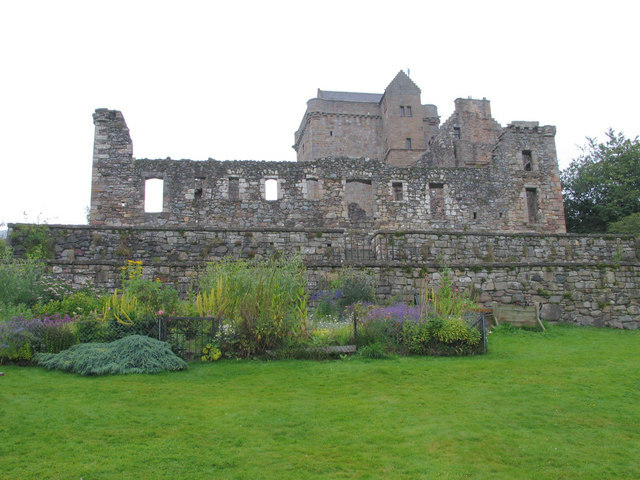 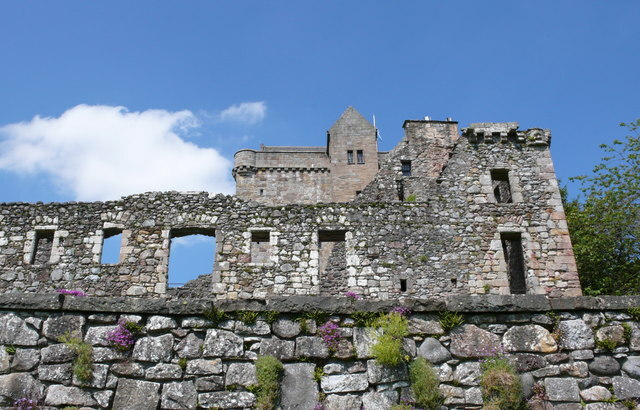 Castle Campbell was originally known as Castle Gloom, but in 1490 the 1st Earl of Argyll had the name changed. 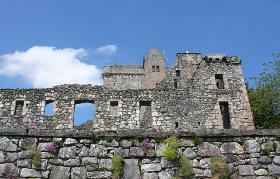 It was burned in 1654 by General Monk and abandoned. 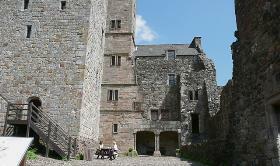 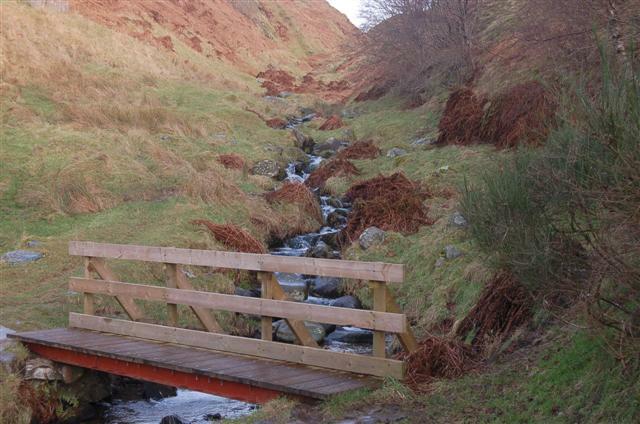 J E Kerr of Harviestoun presented it to the National Trust of Scotland in 1950, and are now open for visitors.